This very tiny Spring flower appears along with the Daffodills. 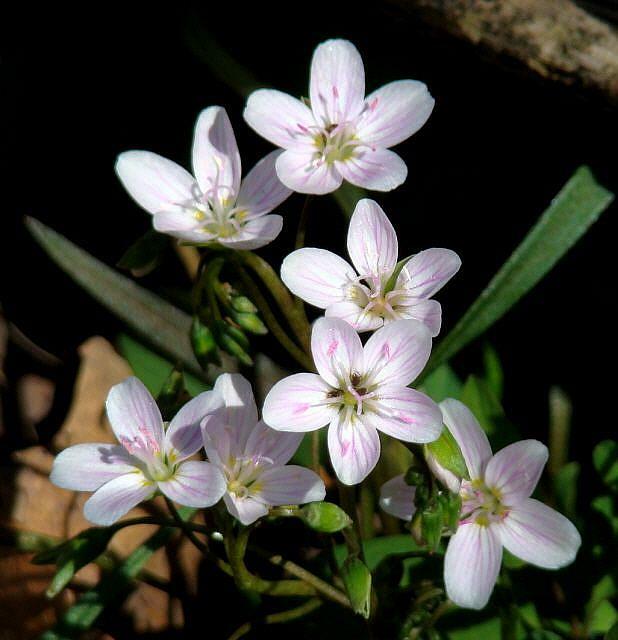 The blossom is a delicate shade of pink and white that makes a beautiful ground cover. This photograph is of a little cluster that is growing at the edge of a woodsy area.